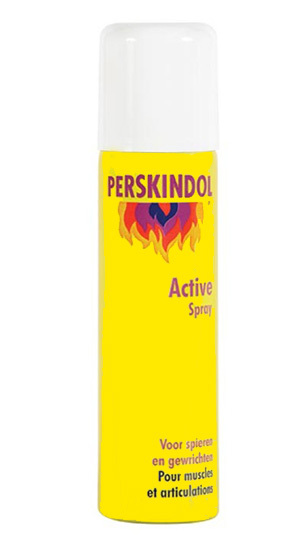 PERSKINDOL Classic Spray is suitable for particularly rapid distribution or for users with restricted mobility (for example, for the back). The initial cooling effect is gradually replaced by a warming action, as the essential oils promote the local circulation. Relieves pain and promotes healing in muscle spasms, exercise pains, muscle strains, neck pain, back pain, lumbago, sciatica, tennis elbow, rheumatic pains, pulled muscles, bruises and sprains. 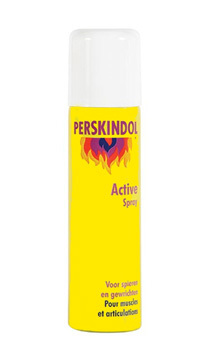 Soothing before and after sport, for example, promotes the circulation during warming up, loosens and warms the muscles, prevents muscle aches and spasms, for relaxation and recovery after sport, pain-relieving action for muscle aches and spasms.